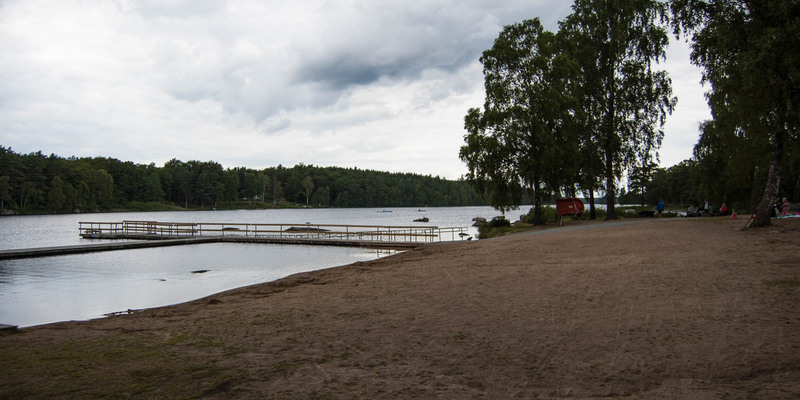 Långasjöns Badplats is one of two official bathing beaches at long stretched lake Långasjön on the outskirts of Karlshamns suburb Asarum. 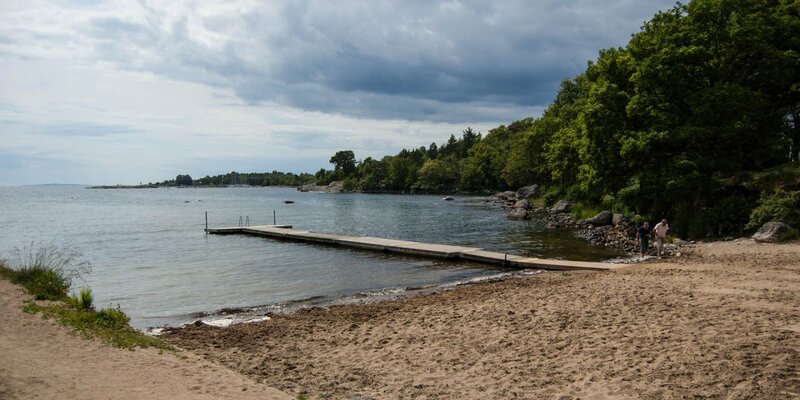 This bathing place is located at the eastern shore, near to a campsite with some cottages and is quite popular in the region. 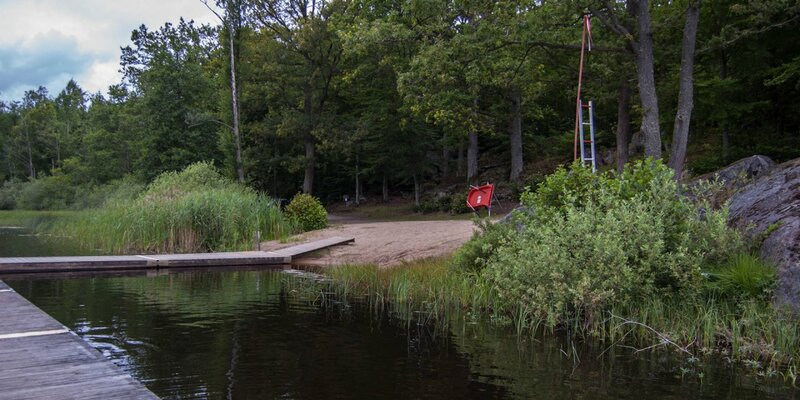 Långasjöns Badplats has a defined swimming area for children, bathing jetties, disabled toilets, several barbecue areas and a kiosk. 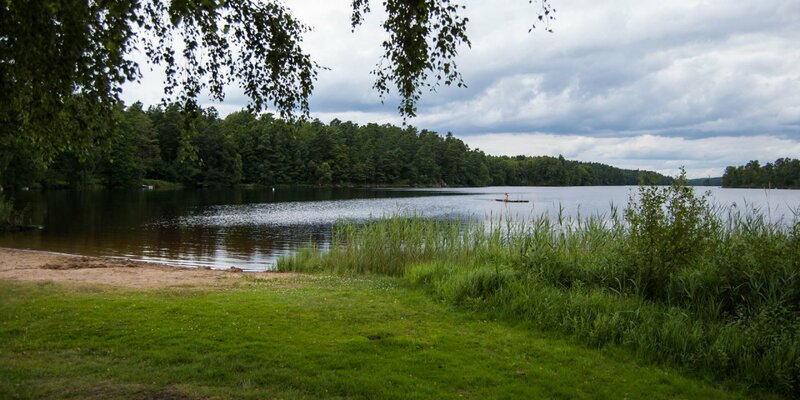 The second beach at the 1 square kilometer sized and up to 10 meters deep lake is Långasjöns Froarp Badplats. It is located on the southern shore, about 1 kilometer away.